"I offer you your FREE Personal Horoscope"
"If it concerns Money, Love, Bad Luck or something else, Discover here what I can do for you today..."
All my colleagues, Mediums, Astrologers are there to confirm, just a "boost" to the fate so that everything turns on the right side and occur, at the moment you expect the least, the positive upheavals expected for so long. As you could see examples in your newspapers, at the television, at the radio, clairvoyance is at the rescue of men. Throughout history, humans have resorted to divination. Whether the Egyptians, Chinese, Greeks or the Romans from ancient times, man from any social class uses these services, whether for commonplace things of life or important events. To take advantage, from now on, from this exceptional offer, as the number of people who will be able to benefit, is, by force, limited, you just have to click here and complete the form for your Free Personal Horoscope, Your Lucky Numbers and "My Secret of Abundance"
The information required in the form concerning the gender, name, firstname, state-country, day, month, year, hour, minute, town, country are elements to determine with accuracy your free personal horoscope. Your email is requested to send by email your free personal horoscope. No informations collected by me will be shared, given, or sold to any third-parties. 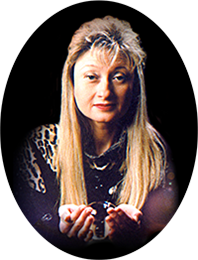 The Sara Freder web site offers you the possibility of having access on the Internet to consultations of clairvoyance, horoscope and services on the astrology, the clairvoyance and the divinatory arts. You must have an internet access and to be a natural person of more than 18 years old to benefit from my services. The costs of access to the Internet network as well as to my site will remain at your expense exclusive. Cnil N° 883702 : According to the law n°78-17 of January 6th, 1978 relative to the computing, you have a right of access, opposition and rectification on the particulars which you supplied me within the framework of the use of my services. You can at any time unsubscribe by writing to me sara@sara-freder.com or to https://www.sara-freder.com/divers/r.asp with your confidential code. All my offers are unlimited in the time. Prices shown are in Dollars. All shipping, when there is, are completely at my expense except my catalog. You have a right of retraction of 15 days (in the French Law) but, as announced in my guarantee, in the very improbable case where you would be disappointed by my services, I make personally a commitment to pay off you entirely, on your request, the amount of the fees which you will have settled to me without the slightest discussion. I reserve the right at any time, to modify, suspend or discontinue, temporarily or permanently, all or part of my services, and this without notice to you. I can not be held liable for any interruption of service (non-Internet network, host). These present general conditions of sale are subjected to the French law. I reserve the right to modify these terms of sale without advance notice. A cookie is a text file placed on your computer when visiting a website or viewing an advertisement. It aims to collect information about your browsing and contact services tailored to your terminal (computer, mobile or tablet). Cookies are managed by your web browser. Cookies on my site : These cookies are deposited on your terminal to answer needs for navigation, for optimization and for customization of the services on my site. Third-party cookies: these cookies are deposited by third companies (from partners) to identify your centers of interest and possibly personalize the advertising offer which is sent to you on my site and off of my site. You can choose at any time to deactivate these cookies. Your browser can be also parametrized to indicate you the cookies which are deposited in your computer and to ask you to accept them or not. In Internet Explorer, click the Tools button, click Internet Options. On the General tab, under Browsing History, click Settings. Click the View Files button. In the window that appears, choose Privacy and click Show Cookies. In your browser, select Edit> Preferences. Click the icon in the Tools menu. Click the Advanced tab and go to the Privacy section. Click the Show Cookies button. By mail way : Sara Freder -BP94- 109 rue du General de Gaulle, 78513 Rambouillet Cedex, France. Copyright © 1997-2019 Sara Freder Inc.